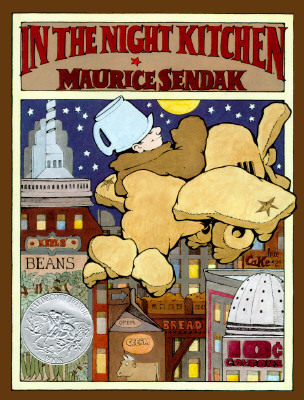 From the acclaimed author-artist Maurice Sendak comes a Caldecott Honor-winning tale of a fantastical dream world. This comic fantasy will delight readers of all ages with playful illustrations and an imaginative world only Sendak could create. In the Night Kitchen is the classic story of Mickey's adventures in the bakers’ kitchen as they prepare our morning cake. "Milk in the batter! Milk in the batter! We bake cake and nothing’s the matter!" the bakers sing. "A celebration of the primal, sensory world of childhood and an affirmation of its imaginative potency," proclaimed Children's Books and Their Creators.